Taxis are available outside the Arrival Hall for both terminals. To ensure the safety of passengers, only the taxis approved by the Aviation Police Bureau are permitted to operate. Taxi fare is based on the meter plus a 15% surcharge, highway tolls not included; it would take about an hour from airport to Marriott, the fare is around NT $1,200 to NT$ 1,400. Taxis are available outside the Arrival Hall for both terminals. To ensure the safety of passengers, only the taxis approved by the Aviation Police Bureau are permitted to operate. It would take about 20 minutes from airport to Marriott, and taxi fare is around NT$200 to NT$250. 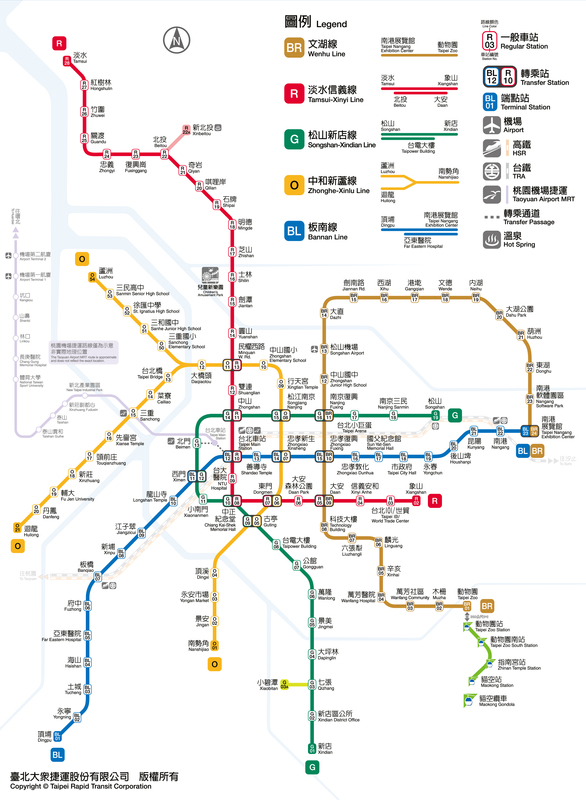 The system operates according to a spoke-hub distribution paradigm, with six lines running radically outward from central Taipei. The metro system operates from 6 am to midnight daily with extended services during special events. Trains operate at intervals of 1.5 to 15 minutes depending on the line and time of day. A "Single-journey Ticket" costs between NT$20 to NT$65 depends on distance. A NT$200 One-day Pass purchased from a service booth will allow unlimited travel among all MRT lines within one day. Smoking, eating, drinking or gum chewing are strictly prohibited on all MRT trains.